This is a pretty controversial question, and it’s one that is often discussed in the Translation and Interpreting industry. What makes someone a qualified translator? We’re using the word “qualified” here, because qualification is not the same as “certification” or being “certified”. That’s a topic for a different day. There are many ways in which a translator can be qualified to translate. We’ll start by opposing the statement that so many people who know little about languages make: “Well, if someone is bilingual, then he should be able to translate accurately.” Wrong. Translation is a skill, an art, if you will. It isn’t enough to be bilingual, which is another controversial term at times. There are varying degrees of bilingualism, but again, back to the topic at hand. One’s ability to translate does not automatically stem from being able to speak two languages. That’s only the first step in the process. One must be able to use the register necessary for a given context, profession and/or situation. Take a moment and think about how much you know about automobile parts. Most of us would say very little. Now think about someone asking you to translate a technical manual, or even a brochure, about a new part that will be used in tire production. Sound crazy? Well, yes, it can be if you know nothing about tires in both your native and second language. 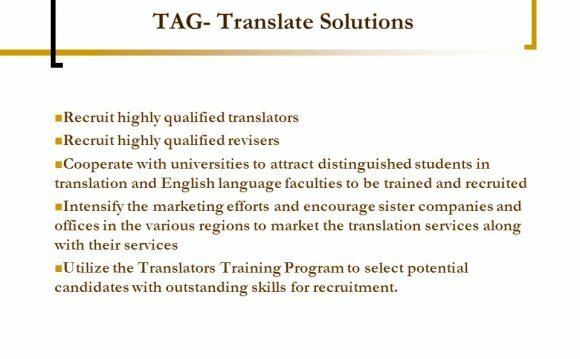 What about other qualifications of being a translator? In the United States, there are more and more graduate programs in translation popping up at various universities. Many are seeing the need for professional programs, because the secret’s out. It’s not enough to be bilingual. The practical skill that is translation does not come naturally. One must study techniques and theory in order to polish the skill. If you don’t have the time to tackle a degree or a certificate in translation, at least take a class here and there and continue to keep up with industry trends, workshops and conferences. MEMOrg is a proprietary software program, owned by the translation company Serious Business, located in Bucharest, Romania. The program is a Computer Assisted Translation (CAT) online tool.